Among the most creative and outsized personalities of the Weimar Republic, that sizzling yet decadent epoch between the Great War and the Nazis' rise to power, were the renegade poet Bertolt Brecht and the rebellious avant-garde composer Kurt Weill. These two young geniuses and the three women vital to their work - actresses Lotte Lenya and Helene Weigel, and writer Elizabeth Hauptmann - joined talents to create the theatrical and musical masterworks The Threepenny Opera and The Rise and Fall of the City of Mahagonny, only to split in rancor as their culture cracked open and their aesthetic and temperamental differences became irreconcilable. 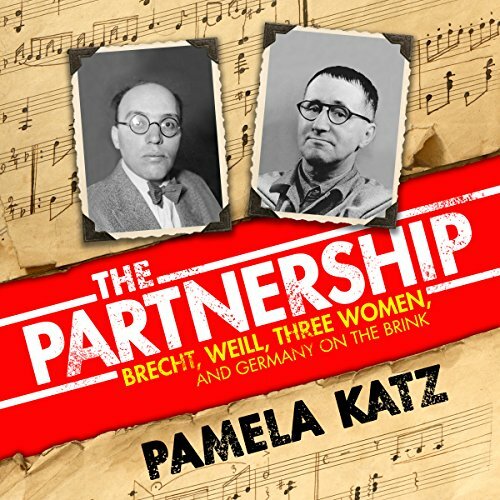 The Partnership is the first book to tell the full story of Brecht and Weill's impulsive, combustible partnership, the compelling psychological drama of one of the most important creative collaborations of the past century. It is also the first book to give full credit where it is richly due to the three women whose creative gifts contributed enormously to their masterworks. And it tells the thrilling and iconic story of artistic daring entwined with sexual freedom during the Weimar Republic's most fevered years, a time when art and politics and society were inextricably mixed.